The other day we told some friends of ours that The Hub's policy is to buy wind energy credits to offset our traditional energy usage. There was an awkward joke about paying for hot air, and then we had to sit down and tell them exactly what wind energy credits are, and how we use them. First, how does wind energy work? 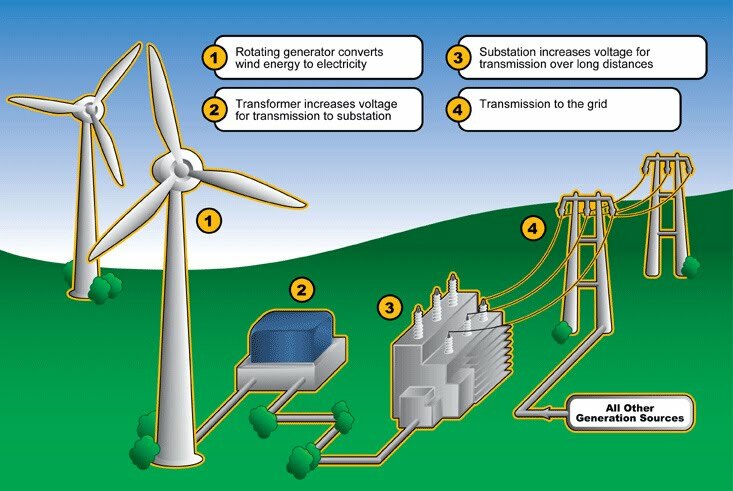 Most electricity is generated by turbines, which are powered by steam, which is created by burning fossil fuels, or nuclear energy. Wind energy eliminates the fossil fuel or nuclear part of that equation, substituting wind for fossil fuel or nuclear energy. Second, how is the wind turned into energy? 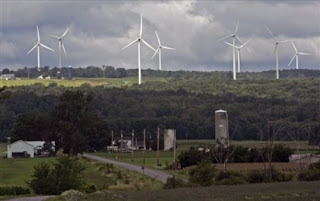 There are several wind farms around the world, which allows the production not only of electricity, which can be purchased outright by municipalities neighboring the wind farm. Third, what does it mean that we purchase wind energy credits? The energy produced at the wind farm can also be purchased in the form of Renewable Energy Credits, or RECs. Each REC accounts for 1000 Kwh worth of energy. Essentially, The Hub offsets all of the electricity that we do use by putting our earnings and monies behind wind energy. It's true. We are paying for a bunch of hot air. But in this case, it's a good thing. For measure, an average American residential customer consumes about 800 Kwh per month.